Our Allergy Formula is a proprietary blend of many roots, barks and berries time tested to work on symptoms from seasonal allergies, pet dander and mold. 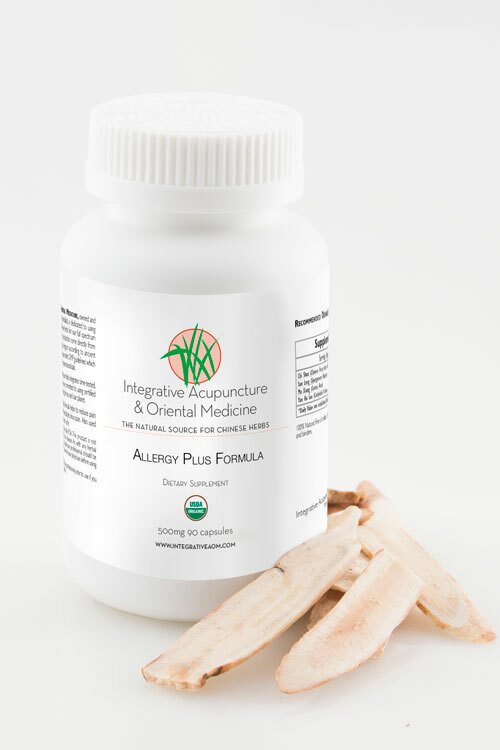 Sinus congestion, sneezing, and headaches can all be addressed with this allergy formula. Allergy Plus Formula may help clear nasal congestion, discharge, and red eyes associated with allergies. It may also reduce sneezing and other allergic symptoms like itchy throat, ears, and eyes. Try this formula during fall or spring allergy seasons or preventatively before an exposure to allergens. I tried these herbs in the office and felt my sinus’ open within 15-minutes. I even called the office to ask if this could be true, and it was! – Kevin G.
Ingredients: Organic Plantago Seed (Che Qian Zi), Organic Wild Indigo (Da Qing Ye), Organic Red Peony (Chi Shao), Organic Ligusticum Root (Chuan Xiong), Organic Angelica (Bai Zhi), Organic Magnolia Flower (Xin Yi Hua), Organic Groomwell Root (Zi Cao), Organic Honeysuckle (Jin Yin Hua), Organic Forsythia Fruit (Lian Qiao), Organic Peppermint (Bo He), Organic Platycodon (Jie Geng), Organic Schizonepeta Bud (Jing Jie), Organic Siler Root (Fang Feng), Organic Licorice (Gan Cao). Plantain seeds are the seeds from the plantain banana fruit which grows in the wooded low lands of China, Korea and Japan. The seeds contain vitamin A, B, iron, choline, adenine and mucilage which helps support healthy elimination. They are used to treat a variety of conditions including the proper metabolism of water. In Chinese medicine plantain seeds connect to the kidney, liver and lung meridians and have a sweet and cold property. Wild indigo originally grew in Asia and India but now is cultivated across the U.S. It’s leaves and yellow flowers are gathered in the fall and dried. Wild indigo has an impressive list of actions related to enhancing immunity. 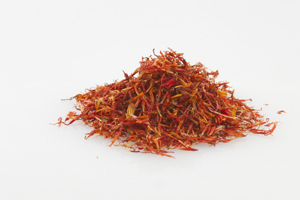 It is antivirual, antibacterial and anti inflammatory. It is used on conditions such as mumps and measels and other febrile diseases. In Chinese medicine it expells heat. Allergic rhinitis and other allergy symptoms are often a condition of wind heat. Wild indigo cools the body and helps reduce the red itchy eyes and sore or itchy throat that often come with allergies. Also known as red peony. 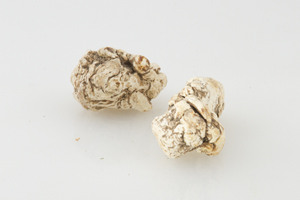 Chi Shao is one of two other peony species used in Chinese medicine with the others being white peony and tree peony. Chinese peony is used when there is lack of blood movement. In Chinese medicine lack of blood and energy flow is called stagnation and it can result from various conditions. Animal studies indicate that Chinese peony extract stops the clumping of red blood cells through a compound called paeoniflorin. Magnolia flower comes from the magnolia tree. It excells at treating stuffy nose, congestion, discharge, loss of smell and any sinus problem. Conditions such as acute rhinitis, chronic rhinitis and allergic rhinitis are all perfect candidates for magnolia flower. Groomwell Root is excellent for clearing heat from the body which may manifest as dematitis, rashes like chicken pox, measles or mumps, eczema, or burns. In Chinese medicine zi cao treats stagnant heat in the liver. Heat causes the body to be more inflammed and irritated. Pollens, dust, dander, scents and other particles seems to be upsetting to a system that already has some level of stagnant heat. There are 200 species of honeysuckle that grow worldwide. It is the Japanese honeysuckle that is used in Chinese medicine. It is the flower buds that are gathered in the early summer and then shade dried. Honeysuckle is used to remove toxic heat from the body and to treat conditions such as fevers, heat rash, painful sores and swellings, ulcerations, and skin infections. Forsythia Fruit is known as the “golden bell.” It is the fruit that is steamed, sun dried and then the seeds are removed. In Traditional Chinese Medicine the fruit is considered to be cold and bitter. It is often used to treat heat in the body, which may manifest in conditions like fevers, flus, colds, sore throats, scrofula, excessive thirst, and headaches. Peppermint is widely known as a culinary herb but also has powerful medicinal applications. It is cooling, pungent and aromatic. It is used around the world to treat a variety of conditions such as rashes, eye conditions, diarrhea, dysmenorrhea, gas, neuralgia, gallbladder disorders, and upper respiratory infections. In Chinese medicine it clears heat from the body and moves liver qi. It is perfect medicine for those red itchy eyes. Platycodon is also known as balloon flower. It has beautiful purple, pink or white flowers that look like tiny inflated balloons. The root is dried and cut. Its medicinal actions come from the volatile oils, saponins and plant sterols. These compounds have been shown to have anti-inflammatory and bacterial actions. In Chinese medicine Platycodon root is used to treat sore throat, tonsillitis, upper respiratory disorders, and as an expectorant. Siler Root grows mostly in Mongolia and Jilin regions of China. Its name means “guard against wind.” Allergic conditions with sneezing and runny nose are considered to be excess wind in the body. 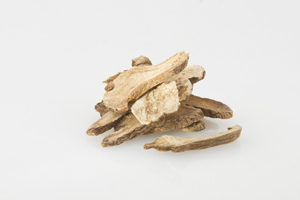 Siler root is also effective in treating joint pain especially cases of rheumatoid and osteoarthritis. It will reduced pain and inflammation associated with these disorders. In Chinese medicine spasms, tremors, seizures and stroke are due to excess wind in the body. Licorice has been used medicinally all over the world for centuries. 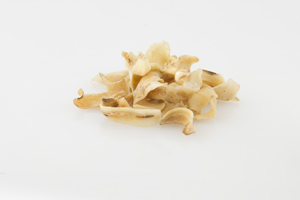 It is arguably one of the most important herbs in the Chinese pharmacopeia. One of the reasons it is so important in Chinese medicine is that it harmonizes that actions of other herbs. It is frequently baked in honey (Zhi Gan Cao) before being included in herbal formulas. It has anti-viral and anti-inflammatory properties and helps sooth inflamed mucus membranes both in the throat and gastro-intestinal tract. It can tame a cough, sore throat, and even ulcerations. Take preventatively before an allergic exposure to dust, dander, pollen, molds, or foods. Take as seasonal allergies develop such as itchy red eyes, congested nose with discharge or ear congestion.